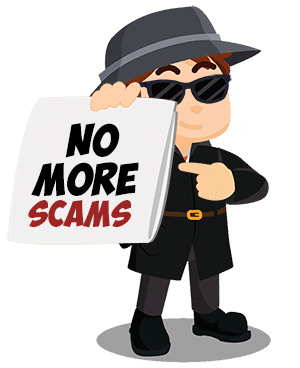 >> Royaltie Gem Review – Scam Bluetooth Marketing Biz? Royaltie Gem Review - Scam Bluetooth Marketing Biz? There are plenty of outdated (if not biased) Royaltie Gem reviews on the Internet today. This is definitely not one of them. You will be positioning yourself to make the best decision whether Royaltie Gem is a scam or something that is highly beneficial for you and your interests. Check out this viable alternative business program instead. What are the Products of Royaltie Gem? 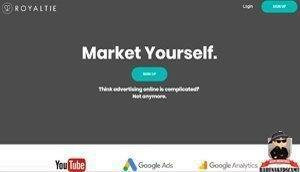 Is how to cut the cost of your advertising without jeopardizing the steady flow of your leads. This is what Royaltie promises to provide its members. 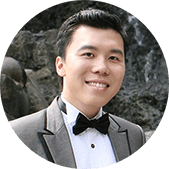 Royaltie manufactures and sells innovative Bluetooth devices that can broadcast custom messages or advertisements within a targeted area. The company refers to these Bluetooth devices as “gems,” hence the name Royaltie Gem. 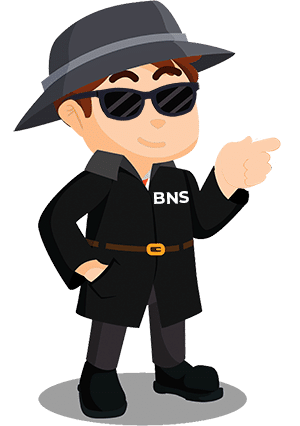 A gem can broadcast messages that are 40-50 characters in length and can then be transmitted to an Android device that is within 100 meters from the device. The Royaltie mobile reward program allows its users to earn 10% rewards on all their health, fitness and beauty purchases using the platform. Obviously, Royaltie isn’t focusing on this program any longer and is replaced with the company’s current “gem” product since 2017. Royaltie Gems are sold to the company’s affiliates via monthly subscription. Each device also has a life-time malfunction guarantee. How does Royaltie Gem Work? Royaltie Gem addresses the advertising and lead generation strategy of your business efficiently and cleverly. You can create a custom message similar to an advertisement between 40-50 characters long. You can also include a link to any secure website of your choosing on this message. How Can you make Money with Royaltie Gem? Like most of any other MLM companies, there are two different types of compensation Royaltie offers to its affiliates. You can earn based on your own personal sales (Direct Selling) and a percentage of the total earnings of your team. How do you build a team? You are right, through Recruitment. Below are your potential earnings with Royaltie Gem. Click Here: Are you Ready to Expand Your Network Thru Recruitment? Then Check This Out! As an affiliate of Royaltie Gem, you will earn a one-time $250 bonus for every 10 new customers you personally sell a gem. It does not matter how many gems they buy either. Royaltie makes it clear that will get this lump sum of $250 for every 10 new customers. Your potential earning with Royaltie Gem’s monthly commissions start out at $120 to as much as $85,000! Monthly commissions in Royaltie are paid out based on your affiliate rank. The majority of the affiliate ranks appear to be named after a gem’s clarity grade. Below is the breakdown of your commissions on each rank as well as the qualifications. The commissions you qualify is calculated each month based on your team’s performance. The corresponding commission is then paid to you for the month with respect to your rank. If you wish to become a Royaltie Gem affiliate to promote the Bluetooth device and earn commissions, you can sign up for free. However, you must select and purchase at least one gem subscription for you to complete the sign-up. The lowest price you can choose is for $47/month plus a certain security deposit and a shipping fee if you are not in the US territories. You can learn more about Royaltie Gem’s subscription plan in here. As for the good of this company, I can only think of one thing. 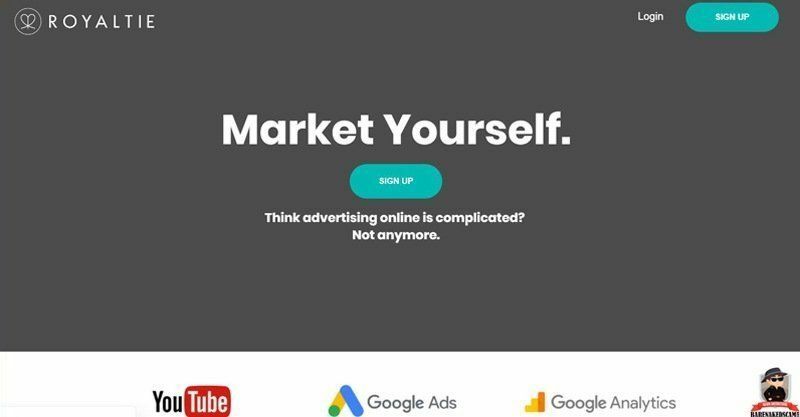 Royaltie Gem can provide you with a sophisticated yet affordable business advertising alternative. It cannot be denied that Royaltie Gem offers a much cheaper advertising option for your business. But the thing that caught my attention the most is that you can advertise your business on the most strategic and targeted location - using Bluetooth. For example, if your target audience is students, you can go to a nearby university and turn on your Royaltie Gem and students within 100 meters from your device will be notified about your business. With the utmost respect for this company, there are some serious concerns that I must raise on this part of my Royaltie Gem review. Knowing the owner of the company or its headquarters is always something you would look into first before you join one. In which case, Royaltie Gem does not provide these things. Furthermore, the company does not give a clear presentation of its compensation plan and the likes. No more than a Bluetooth spam device? Some people think that a Royaltie Gem is a fantastic marketing tool for their business. Unfortunately, an equal amount thinks it is no more than a spam device. Although the custom messages themselves comes through like any other notification, the question of whether it violates someone’s privacy including the spam laws is something I am not sure. For people who might need the products that you are promoting, the messages will prove to be of some use. But for the people who couldn’t care less, it would just end up as an annoyance. Upon the first glance, Royaltie Gem’s compensation appears decent. Take a second closer look, and you will realize that you will not be earning a single dime unless you sold gems to ten people. Meaning, you will not be earning anything at all for your individual sales. Even if you come as close as 9 sales, you are required 10 sales to get the $250 bonus. This could be a serious problem for you as these Royaltie Gems are something that might not be relevant to many people. Not to mention that it comes with a monthly fee. It is clear that although selling their products is a source of an income; you shall need to convince a lot of people (at least 10) to subscribe so you can earn. As if requiring at least 10 people to qualify for the $250 bonus is not enough, you also can only earn from two levels within Royaltie Gem’s MLM compensation plan. You can only earn from your own sales and from your direct sponsors. You can’t expect any form of income coming from anyone in your team that is not sponsored or recruited by you. 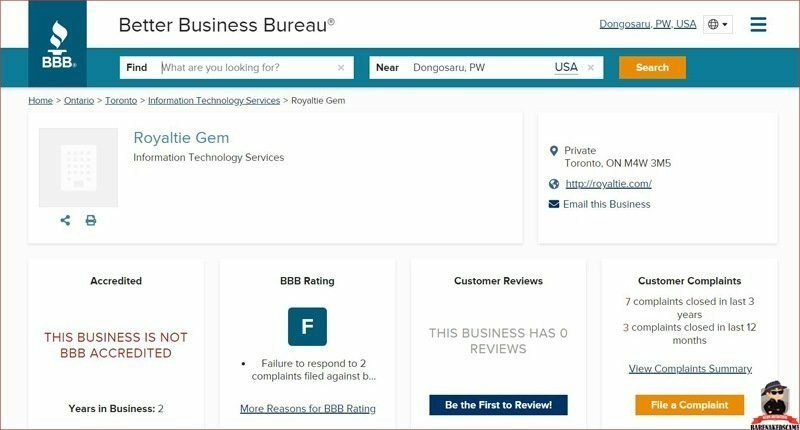 Then you might not like the fact that Royaltie Gem has an F-Rating with the Better Business Bureau. 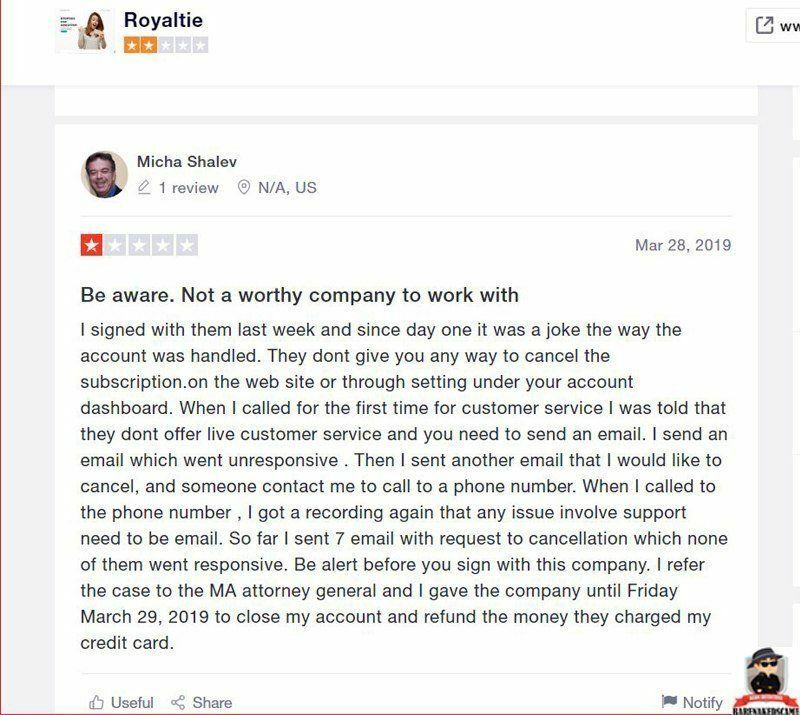 Another thing that worries me regarding this company there seems to be a lot of negative Royaltie Gem reviews and complaints from its members. These are among the latest of them. 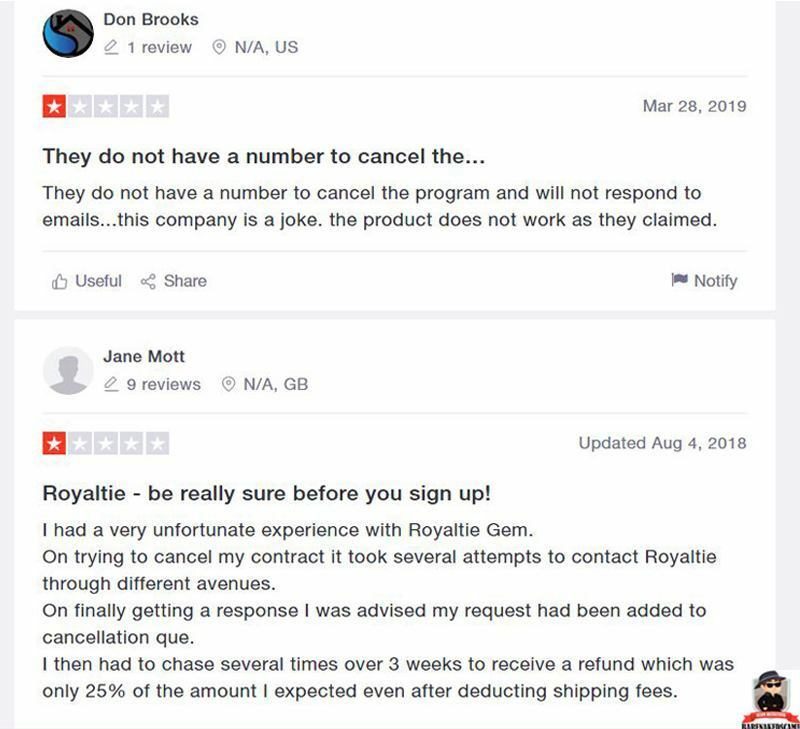 As you can see, there are people who are seriously unsatisfied about Royaltie Gem's products and services. The Royaltie Gem website does not reveal who owns or runs this company, but I was able to determine that Justin Belobaba who is based in Ontario Canada is the founder and CEO of the company. I was also able to learn that the technology behind Royaltie Gem is derived from “Eddystone,” an open-source Android protocol for Bluetooth communication. I also found out that the actual manufacturer of Royaltie Gems is none other than Kontakt.io and not Royaltie themselves. Is Royal Gem a Scam? In case you are worried about a Royaltie Gem scam, then perhaps you would be glad to know that I dare say Royaltie Gem is not a scam. Royaltie Gem could be a useful marketing tool for your business. Considering that a significant percentage of mobile devices comes in Android, you can be sure that you will have a decent target audience. That is assuming they have their mobile device’s Bluetooth switched on and are ‘discoverable’ by other devices such as Royaltie Gem. I personally think that the gems can be of benefit as a marketing tool for your business. However, if your interest in Royaltie is on making money with its compensation plan, then I can say otherwise. Although Royaltie Gem insists that it is not an MLM company, it clearly looks like one with how the way its compensation plan is structured. The thing about an MLM business model is that more than 95% of the people who engage in this kind of business fail. This means that more than 9 out of 10 people who are affiliated with an MLM company earns little to none each month. Worse, some people even claim to have lost money in the end. I personally think that there are better business models to generate a decent income other than Royaltie Gem. But if you believe that an MLM company such as Royaltie Gem is your ticket towards financial success, then I highly suggest that you learn how to generate an endless source of prospects using Attraction Marketing. Thank you for taking the time to read this Royaltie Gem review. I am hoping that you find this useful and that you find the time you spend reading this well worth it. If you do, kindly share this to the people who might benefit from this kind of information. If you are considering other business opportunities instead of Royaltie Gem, then I humbly recommend that you take a look at this fantastic online business program. Unlike Royaltie Gem, you can get started with this program for free! Do you have any questions about Royaltie Gem? Do you have more pieces of information that you would like to share with our readers? Please feel free to utilize the Comment Section below. Until here and whichever direction you take towards financial success, I wish you all the best.